Oh, the City of Toronto. It is found in the Southernmost part of Canada and lined by the Northwest Shore of Lake Ontario. Being Ontario's provincial capital, as well as the most populated city in Canada, Toronto is home to many busy, enthusiastic Canadian citizens, many of whom are fans of the Maple Leafs, Blue Jays, or Raptors sports teams. Toronto is also the home of the famous CN Tower, which is located in Downtown Toronto on Front Street, just walking distance from the Rogers Centre. Until the year 1834, Toronto was known as York, and was named the capital of "Upper Canada" in 1793. Toronto began to grow and grow, stabilizing itself and eventually grew to be one of the main destinations for new-coming immigrants in the 19th century. Toronto became known as the largest city and economic capital of Canada in the late 1800s-1900s. 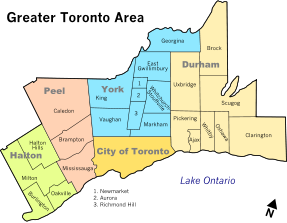 Toronto, being the central-most region, has 4 regional municipalities that surround it, making up the Greater Toronto Area: York, Durham, Halton, and Peel. Each of these regions are also made up of many cities within, which also contributes to Toronto's large population. In comparison to the year 1954, Toronto had 12 surrounding municipalities, which were later federated into the Metropolitan Toronto. While Toronto is surrounded by 4 regions, it is also made up of small municipalities such as: East York, Etobicoke, North York, Scarborough, and York, which have been combined into one single municipality, making up the City of Toronto. The City of Toronto is currently run by Mayor Rob Ford, with Mel Lastman as its first Mayor and David Miller as its second Mayor. Most of the city's government officials do their work in City Hall, located at the Nathan Phillips Square in Downtown Toronto just on Queen Street and Bay Street, and is the heart of Toronto's municipal government. It was designed by architect Viljo Revell, and is also known as "The Eye of the Government", due to the fact that from Bird's Eye view, it looks like a large eye. This building, along with the Nathan Phillips Square is an area where many seasonal activities take place, especially in the winter, where there is a skating rink for fun and fireworks at New Year's Eve, just to name a few. Toronto is an amazing city. It has many attractions and activities to do in almost any area that you go to. You can never run out of ideas or places to go while you're living in this city. There is also a very good transportation system to get you around, the Toronto Transit Commission (TTC), with buses running on the streets, streetcars in Downtown, and trains in the underground subway line. The average price for a home in the GTA is approximately $550,000, but there are many different ranges of prices depending on the house you are looking at, as well as the area in Toronto. Toronto is a great place for you AND your family to find a home to live in, or if you are already living in this city, there are many different neighborhoods that you can choose from click [here] to read about more Toronto neighborhoods. 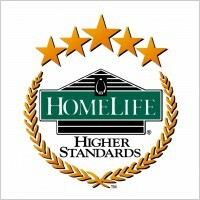 Call me today, Mofiz Rahman (416) 559 7108, if you would like more information about Toronto Homes For Sale or to Buy a Home, or if you'd like to know how much your home is worth, please click here.